More people recycle than vote in America. we figured there should be at least one blog dedicated to recycling results. Because it’s highly customizable, some of our customers also use the Program Tracker to track food recovery programs. For instance, drivers for a food recovery program in one city use the mobile app version of the Program Tracker to log pickup dates, weights, donors, recipients and even photos if necessary. This allows the city to track their program and see reports in real time. The Program Tracker is designed to be a central repository for all program information and data, so if you do use one of the solutions listed below, we’ll gladly import data from any platform into our Program Tracker, giving you direct visibility into both the small and big pictures. Connecting the dots between donors and recipients is complicated and requires a company’s full focus. Luckily for the waste industry, many organizations have thrown their hats into this ring, giving both donors and recipients a lot of great choices. Below is a list of the apps, online platforms and networks that facilitate recovering edible food and transporting it to hungry people. We are grateful for these companies’ commitment to make the world a less-hungry, less-wasteful place and encourage you to check them out. Note that this list is specifically geared toward California businesses and residents, though some of the companies operate nationwide and even internationally. The following apps and websites help connect the average person with restaurants and businesses that have excess food. They typically partner with businesses to make sure that food gets sold at a discounted price before it goes bad. These apps and websites are worth investigating if you are a food business looking to find a home for larger amounts excess food. They will help you get your food to the people who need it, as well as give you reports and data on what is typically overproduced. These apps and websites are marketplaces or maps to connect the average person with extra food to another person who needs it — directly! Why throw out or haul all your old food when you move? Move for Hunger connects registered moving companies with people who are moving. The hired movers will pick up your unwanted, non-perishable food items and deliver it to local food banks. The following companies offer software or resources for food businesses to track their food waste. If food has already spoiled and can’t be donated, these two companies have a great solution: compost! If you can’t find the solution you need, Recyclist offers technology consulting services. Get in touch — we’re be happy to talk to you about developing a custom solution to meet your needs. Back in July 2018, we published a blog post on Clarifying the Definition of “Solid Waste” in the Context of AB 341 and AB 1826. Our research was prompted by mixed messages our Program Tracker customers were receiving about the official definition of “4 cubic yards of commercial solid waste per week,” as it pertains to the thresholds for AB 341 and AB 1826 (Mandatory Commercial Recycling and Mandatory Commercial Organics Recycling – Jan 1, 2019 threshold). After considerable communication with CalRecycle, we published the precise information we were given, which is that the 4 cubic yards referred to garbage only for both laws. Threshold is 4 cubic yards of garbage only. Threshold is 4 cubic yards of garbage, recycling and organics combined. The official explanation is in the CalRecycle Mandatory Commercial Organics Recycling (MORe) Frequently Asked Questions, Question A.18. [F]or most, if not all jurisdictions, the businesses that meet the 2019 threshold for MORe should be equivalent to, or nearly equivalent to, the group of businesses and multi-family complexes that the jurisdiction has been targeting as part of its Mandatory Commercial Recycling (MCR) program. However, based on the data that we track across our many customers’ Program Trackers, we have found these two groups are nowhere near equivalent. In fact, the number of businesses that fall under the Jan 1, 2019 threshold for AB 1826 is on average 70% higher than the number of businesses that fall under AB 341. So our data shows that most jurisdictions will have to track almost twice as many businesses in light of this clarified definition. Another interesting number we found is that, on average, 20% of all commercial and multi-family accounts have less than 4 cubic yards of garbage, but more than 4 cubic yards of all waste streams combined. So it’s not just a few businesses we are talking about here, but nearly a quarter of all accounts, which can add up to 1,000+ additional businesses that now must be tracked, depending on the size of the jurisdiction. Of course with SB 1383 coming down the pike, everyone is looking at a lot more tracking of organics diversion on a business-by-business level anyway. But as of this new information, the bar is rising a little faster than we anticipated. Keeping track of all these numbers (along with coordinating outreach, generating service estimates, and implementing local ordinances and programs) is a time-consuming responsibility for many haulers and local government personnel. If you’re not yet using our Program Tracker to offload some of the burden, please get in touch — we’d love to help! Some of the information in this blog post from July 2018 is out of date, subsequent to new information being provided by CalRecycle in January 2019. Please see Update: Re-Clarifying the Definition of “Solid Waste” in the Context of AB 341 and AB 1826, for the latest information. While not traditionally counted among life’s great mysteries, in recent weeks here at Recyclist we’ve been spending a lot of time asking, what is the definition of the term solid waste? As it turns out, what counts as solid waste actually depends on the context. If you ask the EPA, solid waste is just about anything a person or business disposes of, with very few exceptions, according to the agency’s Criteria for the Definition of Solid Waste and Solid and Hazardous Waste Exclusions. In general terms, solid waste refers to garbage, refuse, sludges, and other discarded solid materials resulting from residential activities, and industrial and commercial operations. This term generally includes used oil. … For regulatory purposes, hazardous waste is a subset of solid waste. Similarly, CalRecycle’s Solid Waste Characterization data looks at solid waste, broken down into disposed tons, recycled tons, organics tons, and other diversions. For these reasons, at Recyclist we have always presumed that commercial solid waste means all of the waste — including garbage, recycling and organics — generated by a commercial entity. Enter one of our new Program Tracker customers. When we’re onboarding a new customer, the first step in our process is a kick-off call where we go through all of the customer’s existing spreadsheets, notes, hopes and dreams for their commercial waste program. 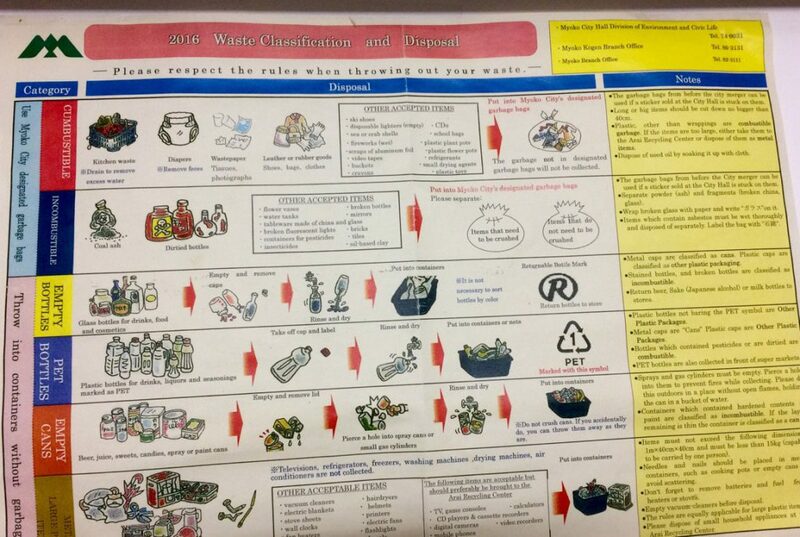 On a recent call, when the topic of AB 341 and AB 1826 compliance came up, we discovered that this customer was identifying regulated businesses based not on total waste generation (garbage, recycling and organics combined), but solely on garbage generation. This took us by surprise, so we decided to dig a bit deeper. An accurate definition of commercial solid waste is critical to our operations because our software automatically assigns AB 341 and AB 1826 compliance statuses to businesses and multi-family properties based on their service levels. Suddenly we were wondering, do we need to rewrite our algorithm? This also clarifies that the threshold for businesses (not including multifamily residences) is 4 cubic yards or more of commercial solid waste per week, not 4 cubic yards of commercial solid waste and recyclables. The definition distinguishes between recyclable materials that already are separated prior to any commercial solid waste being discarded — and thus excluded from the 4 cubic yards — versus potentially recyclable materials that are not separated and instead are included in the commercial solid waste being discarded. Establishing the threshold to include only commercial solid waste should make it easier for a jurisdiction to determine which businesses are subject to the regulation; a jurisdiction does not have to conduct a waste generation study to determine if 4 cubic yards of commercial solid waste is generated. Within this definition then, the term “generates” simply refers to commercial solid waste produced and disposed, excluding previously separated recyclable materials; it does not refer to other uses of the terms “generates” or “generation” that mean the amount of commercial solid waste diverted plus the amount of solid waste disposed. “Business” also includes a multi-family residential dwelling of five units or more, regardless of the amount of commercial solid waste generated. Well, I never expected to say “Wow!” to anything I read on page 39 of a 285-page rulemaking document. But…wow! 2. For the January 1, 2019 threshold of AB 1826 (“Businesses that generate 4 cubic yards or more of commercial solid waste per week shall arrange for organic waste recycling services”), the same definition of commercial solid waste applies. Q: A multifamily complex generates 5 cubic yards of solid waste (3 cubic yards of refuse service, and 2 cubic yards of green waste and wood waste) per week, and the property’s landscaping service has been hauling the 2 cubic yards of green and wood waste to a recycling facility since 2014. As of 2019, is this complex subject to AB 1826 requirements, and should it be monitored as part of the jurisdiction’s mandatory commercial organics recycling program? A: Yes, since this complex generates a total of 5 cubic yards of commercial solid waste then the complex will be subject to AB 1826 requirements as of January 2019, when multifamily complexes that generate 4 or more cubic yards of solid waste would be subject to the law. A complex meeting this threshold would need to arrange to have its green waste, tree trimmings, and nonhazardous wood waste recycled. Although the complex in this example may currently be compliant in terms of using a recycling option for the green waste and wood waste portion of its waste, the complex would need to continue to be monitored annually to ensure the covered materials continued to be diverted. In this case, the complex generates only 3 cubic yards of garbage, so it’s not technically covered. But it generates more than 4 cubic yards of all waste streams combined, so it does still need to be monitored. So what does this mean for us at Recyclist? Well, one of the useful things that the Program Tracker can do is provide our customers with total cubic yardage of all waste streams combined, so this remains a useful number for monitoring. But as for AB 341 and AB 1826 compliance, our algorithm is rewritten, and onward we proceed, better informed thanks to our customers. In the end, this change affected only a small percentage of the commercial accounts tracked across all of our customers’ Program Trackers — it’s really just those that have less than 4 cubic yards of garbage but more than 4 cubic yards of total service. This means that fewer businesses are covered under AB 341 than we previously thought, and that some businesses we thought were covered under Phase III of AB 1826 (the January 1, 2019 deadline) would be covered only if Phase IV goes into effect. It’s an important distinction nonetheless, and one that also has an impact on the automated Electronic Annual Report data that our Program Tracker generates. We’re very glad to have this clarified — case closed! In an industry that’s been relatively slow to transition into the digital age, Recyclist has embraced the role of the digital evangelist. We offer cloud-based services, so (surprise, surprise!) we frequently advocate for technological solutions. But Recyclist is also a triple-bottom-line company, committed to positive social and environmental impacts. Because of this, we are thrilled that the numbers are showing us that our web-based approach to public education is not only reaching residents where they get their information (i.e., their phones), but is also providing our customers with essential long-term impact. Recycling is all about playing the long game. Success isn’t measured by one month, or even one year, of high recycling rates. Instead, we look for consistency and improvement over time. So it’s logical that our outreach efforts should also focus on steadily reaching more and more people. Success isn’t measured by one month, or even one year, of high recycling rates. Instead, we look for consistency and improvement over time. A traditional print campaign, with expensive media buys and major print advertising, is designed to make a splash. So for communicating major one-time changes to your program, it’s the perfect choice. But print is more suited to a big announcement than an ongoing effort. To keep progress in motion once the splash is over, we recommend an approach that provides continuous information. That’s why we look to websites as a key means of educating residents about recycling. Imagine an ongoing outreach campaign built around the website MyTownRecycles.com. In the beginning, as residents discover the site, MyTownRecycles offers a steady drip-drip-drip of visibility to your campaign. Now, add in the effects of a social media presence (perhaps using the hashtag #mytownrecycles), continuous promotion of the brand on everything you print or publish, and partnerships with local haulers and environmental organizations. Fast forward several years, and that steady drip-drip-drip of visibility has transformed into the main channel of your outreach campaign: MyTownRecycles.com is a household name, the local “green” brand, and the home for detailed information about what, where, when and how to recycle. This isn’t a made-up story, but rather one that closely parallels the strategy and success of one of our first Public Education Platform customers. We use web analytics to track the performance of each of our customer’s websites. By the end of this customer’s first 18 months of having their website up and running, users had nearly tripled. By the end of two years, the website was receiving more than nine views per household annually. The other communities we work with are seeing similar trends. One customer saw 69 percent growth in website page views in a single quarter during their first year. Another jurisdiction received more than one page view for every two residents. Even Recyclist websites that are less than one year old display impressive upward traffic trends. By the end of two years, the [municipal recycling] website was receiving more than nine views per household annually. Reviewing web analytics enables us to assess the value we are providing to our customers. We share this data with our customers so they can see how residents are using their website — for example, which pages are most popular, or what recycling guide items are most searched for. By themselves, the numbers are a testament to what can be accomplished via consistent messaging on a website over a short period of time. However, looking forward is even more exciting. In a second year, and then a third, and a fourth, our customers’ outreach brands will only become more recognizable. As that happens, their reach, and their return on investment, will only improve. This is the compounding value of digital outreach via a website platform. A properly designed and optimized website delivers outreach results both now and for years to come. It’s the only form of outreach we’ve seen that increases in effectiveness year after year. Play the long game: invest in a tool that can give your community sustained — and sustainable — results. While the term “zero waste” may sound fairly straightforward, communicating the meaning of a zero waste pledge can be a bit more challenging. With numerous stakeholders — including residents, city officials, haulers and landfill operators — who may react differently to the term, how can you broach the idea of a zero waste goal? Ultimately, it’s all about the context: to make a zero waste commitment stick, your messaging must resonate within your community and bring key players on board. In our new op-ed, out today in Waste Dive, we spoke with several leaders who have taken divergent approaches in moving their communities toward zero waste. While they may use different language, they all share the same goal. We believe that’s what matters most. Read the full op-ed in Waste Dive. While both are big business — in the first half of 2016, Facebook’s ad revenue was $5.6 billion, and Google’s was a behemoth $17.4 billion — the two companies’ ad sales vary in small but significant ways. Google’s ad system, called AdWords, is based around keywords. A given ad will be shown when someone searches for the keywords tied to the ad and it can compete against all the other relevant ads in an automated auction. Facebook ads are also sold via auction, but instead of using keywords, they are built around targeting specific age and gender populations (or share your ad with Facebook at large). Critical to our purpose, both companies allow you to limit your ad’s reach to certain geographic locations. The ad’s owner is charged only when a user clicks on it. Ads are entered into an auction with similar ads to determine what is shown to users. Target ads to users only in certain geographic areas. Only Adwords are based around keywords that match a user’s search terms. Target by age and gender? Only Facebook ads can be targeted to certain age and gender demographics. Across the board, our Google and Facebook ads both drove traffic to our customers’ websites. Some ads generated a steady stream of traffic, while others were more of a dribble, but all three websites saw traffic that they otherwise wouldn’t have. Why such a significant difference in performance? We have a theory. Google ads are displayed when a user’s search terms match ad keywords, which means our ads were shown only to the people who live in the target locations and searched our specific waste and recycling keywords. In contrast, our Facebook ads were shown to people in the target locations, whether or not they were looking for recycling information. As a result, we believe the Facebook ads reached a much broader population. The pay-per-click model of online ads confers a major advantage over print ads. With a newspaper, you run an ad for a set cost, hoping enough people in the circulation happen to see it and respond to it. With online ads, you pay only when someone clicks on your ad. In that sense, the ads you pay for have already proven themselves effective. Even better, you are always in control of how much you spend; set your budget, and the ad stops running once you max out. Google and Facebook both allow ad campaigns to target certain geographic areas, but only Facebook can additionally target age and gender demographics, interest groups (e.g., automotive) or behaviors (e.g., purchase history). This is an invaluable tool for outreach managers. If you’re having trouble reaching residents in a certain zip code, or are trying to make a big impact among teens and young families, you can design your Facebook ads for those specific populations and check a few boxes to make sure that’s who sees them. Setting up the ad campaigns took us only a few hours, with an hour or less of maintenance per week. Facebook and Google also offer tutorials and assistance for new users. Through this experiment, Recyclist amassed a trove of data centered around using ads as a recycling outreach strategy, and we’re excited to use our knowledge and experience to set up an ad campaign to lead residents to your Recyclist website. We’ll help you create your ad campaign using strategies we’ve tested and know will work. And, as always, we’ll be on the lookout for new ways to make your outreach simpler, clearer and more effective. Editor’s Note: Google AdWords now allows for demographic targeting as well. Over the past several months, multiple studies have shown that residents rely heavily on local government websites for recycling information. In April 2016, the Carton Council reported that, since 2013, there had been a 30 percent increase in the number of people who name city websites as one of their top choices to learn how to recycle a package. In January 2017, the Institute of Scrap Recycling Industries (ISRI) shared online survey results stating roughly 50 percent of those who receive detailed recycling information say it comes from local government. Among those who need to seek out recycling information on their own, 52 percent rely on internet searches, and 21 percent rely on local government sources. Because websites are such critical sources of information, don’t leave the success of your own website to chance. If digital publishing is either not your forte or exceeds the limitations of your time, hire someone else or find a partner to do the work with you. This may be a hauler, a JPA or a company like ours. If you end up creating content yourself, make use of resources such as our blog to aid you in finding the right style for your content, honing your writing skills and visualizing statistics. 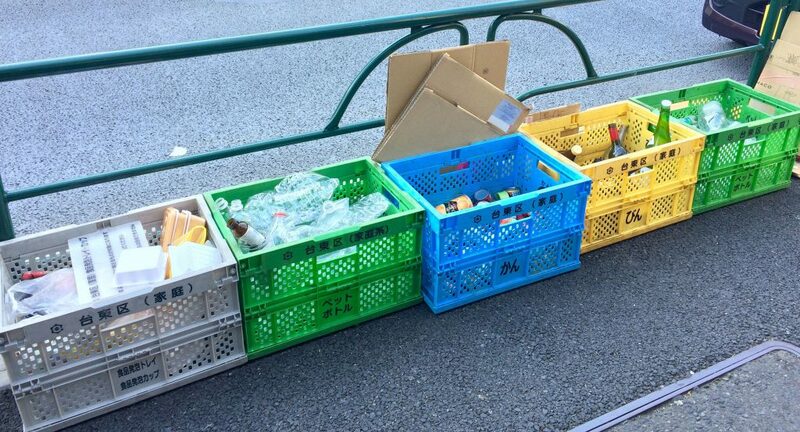 To improve your recycling rates, it always helps to start at the beginning. Make sure residents know your recycling information exists and can find it quickly in the first place. This means residents should be able to navigate to recycling information easily — within a few seconds of searching. In our experience of evaluating close to 150 municipal recycling websites in California, less than a quarter of local governments achieve this. If you don’t know where to start, look at other municipal recycling websites for inspiration. Cities such as Stockton, Oakland and Minneapolis all have model sites. If you need more advice or direction, feel free to contact us with questions. We’re always happy to help guide your outreach efforts. Recyclist turns one year old this month! In February 2016, our first customers started using the cloud-based solutions we designed to help communities move toward zero waste. Our first product to launch was the Public Education Platform, a website, email and social media service that simplifies recycling outreach in a way that’s never been done before. Recent studies show that residents are increasingly relying on local government and web-based information to find out how to recycle properly. Our platform targets these behaviors head-on. This past November we also launched our Commercial Outreach App, a database-driven app designed to help municipalities and haulers conduct and track outreach to businesses and multi-family properties, generate waste assessments and cost estimates, and facilitate compliance with commercial recycling and organics laws. Four municipalities have already signed on as customers. Our products are currently used in cities and counties across California, with a total population reach of over two million. We’re thrilled that we’ve made so much progress for our customers and their communities this year, and we can’t wait to see what this next year will bring. You can read more about our journey in our latest press release (PDF). The Recycling Partnership and the EPA released the 2016 State of Curbside Recycling report yesterday. The report identifies Areas of Opportunity, or ways in which residential recycling programs can be strengthened and broadened. As quoted below, several of these opportunities revolve around improved communication, education and outreach — challenges that waste and recycling professionals have been tackling for years. Very rarely does one recycling manager or municipal waste department have the time, funding, and expertise to independently create the kind of public outreach that is needed — digital, multi-pronged, consistent, easy to find and easy to understand. These are the problems we strive to solve with our Public Education Platform, by not only providing great websites and digital communication tools, but also by doing the heavy lifting of creating content and updating information. And for DIYers, our blog is filled with ideas and insights about how any solid waste department can improve its own recycling outreach. This question is our very raison d’être. Recycling rules are complicated, change over time and vary greatly from place to place. So at the core of our work is providing cities and counties with up-to-date, locally accurate recycling guides that people can access anywhere and everywhere, including on the phone in their pocket, not just crumpled up in the back of a kitchen drawer. But we know that understanding what’s recyclable requires more than just having a recycling guide. You have to make sure your guide is searchable, easy to find and leverages graphics and clear language. You also need to make sure residents consume the information on a regular basis. It’s for these reasons that we built our Public Education Platform around a website that’s easy to navigate, a recycling guide that’s dead-simple to use and local information that’s always clearly communicated. Visibility and clarity are so important, especially now, in the age of digital information. No single recycling program manager has the time to keep a recycling guide up-to-date and write blog posts and tweet and post to Facebook and send out newsletters with any kind of frequency. For those managers who — quite understandably — don’t have the time, our subscription service includes a website, a recycling guide, emails reminders, ready-made social media content, and monthly newsletters. The information we provide to our customers is always consistent, locally accurate and regularly updated. Our Public Education Platform websites always provide tips and best practices for recycling programs in multi-family housing and apartments, for both residents and owners. Check out our demo site for an example. We also are helping municipalities and haulers improve multi-family recycling programs through our Commercial Outreach App. The app comes loaded with a local data set that identifies the size and location of all the multi-family dwellings in a jurisdiction, along with estimated generation levels. It also enables program managers to conduct and track outreach efforts, and to generate, via mobile app, on-the-spot waste assessments and recommendations for multi-family property managers. The bottom line is that we’re passionate about improving recycling, we know how to deliver state-of-the-art outreach, and we work with cities, counties and haulers to do just that. Learn more about what we do or take a look at our recent blog posts for DIY outreach tips.